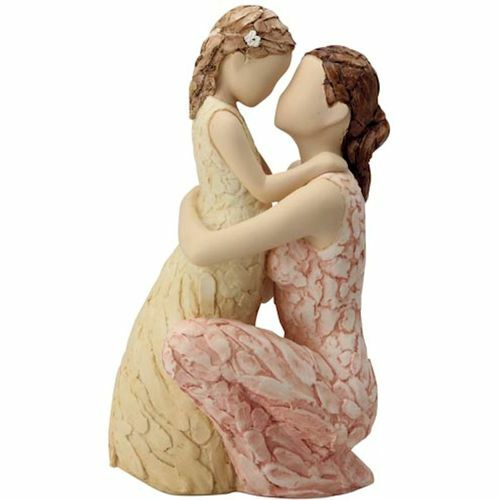 The figurine depicts a young girl safe and happy in the loving embrace of her mother. Loving Arms figurine incorporates natural texture and subtle colours to bring life to each individual form, giving them the power to express unspoken feelings straight from the heart. Neatly crafted but left with a level of simplicity that makes it modern, elegant and personal to the owner. A thoughtful gift, straight form the heart, between loved ones.